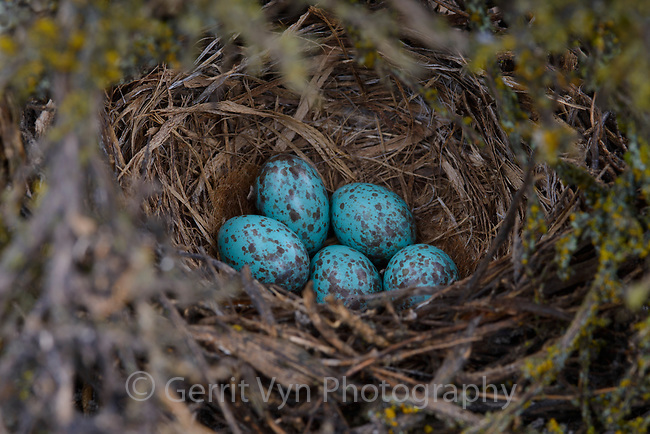 Sage Thrasher (Oreoscoptes montanus)nest and eggs in a Wyoming big sagebrush (Artemisia tridentata). Sublette County, Wyoming. May.